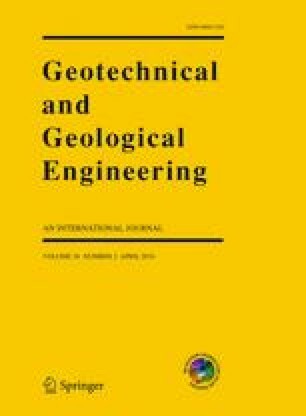 Stability of an embankment constructed on soft consolidating soil improved with pre-fabricated vertical drains is investigated. The factor of safety of the embankment is obtained at various time intervals from the end of construction till the end of consolidation in order to check the embankment stability. Finite element method is used to obtain the effective stresses at required points in soil at various time intervals. Critical slip surface is obtained using two methods. In the first method, the critical slip surface is assumed as an arc of a circle selected among various probable slip circles with minimum factor of safety whereas, in the second method, a random walking type Monte Carlo technique is used to predict the critical slip surface. The effects of providing vertical drains on stability of an embankment is investigated by comparing the factor of safety of slope with vertical drains to the factor of safety of slope without vertical drains. It is concluded from the study that the installation of vertical drains enhances the factor of safety of the embankment from the end of construction till the end of consolidation.